Play these sweeps daily for a great chance at winning a prize! There are several new winnable sweeps added to my list, so I had to post it to remind you to play and win! For more winnable sweeps and to learn strategies to help you win, go visit Sweeties Sweeps to play and win! Congratulations! You have been selected to receive a prize in the Barilla’s Pasta Fridays Sweepstakes, administered by ePrize. You have been selected as the winner of a coupon good for one box of Barilla pasta and a coupon good for one jar of Barilla sauce! what comes up when you win the burger king xbox? just curious what kind of page it is! does it just say You’ve Won instead of Sorry You didnt win this time? or is it some big suprise page? lol….im so curious and maybe a little jelous, i wish i could see if for my self!!! haha congrats to all….i’ve won 4 toaster struddels, huggies gift card and diapers, free year of credit monitoring and probably something else i just cant think right now!!!! I won $10.00 texaco gas card! Free Shipping on HSN.COM but only one person can use this! I just got another email from Barilla saying I won their pasta dinner….SECOND TIME!! How cool is this!! Yesterday I won 4 boxes of toaster strudels and previously won the xeko stuffed animal! Still hoping and trying for some more great prizes. Thanks Heather for sharing all this. Thank you for posting this sweeps! WOW! I won a stuffed animal, this was the first time I played! Whoo hoo! I won a $10 Cabella’s gift card!!! Thanks for posting these! I’m not going to use it. I was lucky yesterday with Pillsbury Million Morning Smiles…won FOUR BOXES OF TOASTER STRUDEL! WooHoOOO!! boo hoo nothing today!! Its been awhile since I won something!! I need some good vibes ! congratulations to the winners!! @Brandi-When you go to the BK page down below it’ll say “Get Code” Click that…and they will e-mail you 6 codes/ per day. Good Luck! Just won another bag of Halls 🙂 Thank you for all you do! won the wendy’s 5.00 card! so it is winnable…haha! also won a bottle of hardwood floor cleaner from shaw’s and a 20.00 card to sears last week on my coke rewards! thanks for this list! I’ve won Halls, Quicken and Pillsbury this week! Yippee! I just won a year worth of credit monitoring on Quicken Thanks a Million! Thanks! I just won a $50 Cabelas gift card! First time I’ve won anything from the sweeps on your site, super excited! I won a $10 Texaco gift card. YEAH! Has anyone won the Frito Lay Cabela’s one? I won a $10 Cabela’s giftcard/code about a week ago at least and it said it would send the code to my email, but I never received anything. Just wondering if anyone else had gotten it, if it came quickly or took a while? I won a shaw holiday rug, bag of halls and a stuffed animal!!!!…thanks! OMG i just won the xbox 360 from burger king!!! ahh best win EVER! Is anyone else having problems with the BK XBOX 360 giveaway? Its not sending me codes. I did finally nab the Barilla pasta coupons, but I would so love to win that Shaw rug! I won a Xeko plush toy and the good thing about that is I have a baby girl to give it to. I was so excited this morning to win the Shaw area rug! I can’t wait to get it. I had been playing every day for a few weeks, but never really thought I would win it , so I was so glad and surprised when I did. Thanks for sharing these great sweeps Freebies4moms! You are the best. Oh, and now my husband wants in on these sweeps…too funny! Just to give a head up to those that have won a Xeko pet. When mine came in the mail I looked up the website and the online game is no longer available. It seems that maybe sometime in the future the site will be back up but I am not getting a response either way about it from the company. Yes, the frog is cute but it is kind of a disappointment not to be able to win something you won. I play everyday and I have never won anything until TODAY! I know it isn’t much but I am happy to finally say I won a bag of halls! The little things in life! 🙂 I am still holding out for the shaw rug! Yay!!! I finally won a $10 Cabela’s card from Frito Lay! I’ve been playing that one forever and was beginning to wonder if anyone was winning it! That makes $10 Cabela’s card, bag of Halls, a year of credit monitoring, and 4 boxes of Toaster Strudels in a little over a week! Thanks Freebies 4 Mom! The Family Dollar one is over. The trick for winning the sweeps is to not expect to win! I always win when i least expect it. WOW Thank you so much for posting this. It was VERY helpful, I played everything you posted and book marked alot of them to play again and again. I didnt win anything tonight but hopefully TOMORROW!!! My advice to everyone is do what Heather suggested. Play very early or very late, that’s what has worked for me! Good luck 🙂 and to those who haven’t won just hang in there, continue to play and have fun with it. won a free year of credit monitoring from Quicken! I won two free shipping codes on the Home Shopping Network sweeps today! Thanks for all you do — the Sweeps are so much fun! I got my prize pack from the SChick Quattro contest today. My toaster strudel coupons came last week as well as my Pizza Hut gift card. Still waiting on SOBE though…. I finally won four boxes of toaster strudels today! Also, won my second prizer on the kick of to savings from Kroger. (a bbq sauce and nestle quick drink) Yay me and thanks freebies4mom! Woo! — Today in the mail I got my plushie animal from Quicken Thanks a Million sweep! It’s a SUPER cute little rainforest froggy! I just won an area rug from Shaw…it was only my second time playing….YAY!!!!!! Thank you! I am really not liking the Texaco game. I feel like I am going to suffer from carpal tunnel syndrome after playing it. The screen freezes and refreshes and even when you click on certain bubbles, they do not pop. I really hate playing that one, but torture myself EVERY day with it. Good news though, my Shaw holiday rug should be delivered tomorrow afternoon. We missed the UPS driver tonight due to celebrating my mother’s birthday! Has anyone won from the Texaco game???? It’s soooooo annoying but I was wondering if there were actual winners. I finally won the toaster strudels! Why do they have to have your household income. I never give out that information. I don’t see why it revelant to the contest. I’ll pass on these contests. I won a $10 giftcode for Cabela’s from the Frito Lay game! My hand is so sore from that darn Texaco game, I had three letters left and couldn’t get it… that’s the closest I’ve come! I know that most of these games are legit ’cause people here are winning them (me included)! Some of them are just more difficult or sporadic than others, and some may be pretty rigged (that Dole Salad one springs to mind, don’t think I heard of anyone winning that one at all)… but overall, it’s just fun and often rewarding! I won a $20 Sears gift card (From my coke rewards) and I just got a check for $250 from Kelloggs Frosted Mini Wheats back to school sweeps. I won a year credit monitoring with Quicken. Thank you for posting these on your site!!! I am generally not a lucky person & never win anything. Thanks to the daily reminders I have won a month of free Toaster Strudle & a stuffed animal from Quicken! Thanks again! So far I have won 4 boxes of Toaster Strudel’s and a year of free credit monitoring from Quicken! Thanks for always sharing these great games!! just got my Toaster Struedel coupons in the mail and I won again today. What a surprise!!! In my mail yesterday was a $50.00 Visa debit card that I won playing Playdoh You.Can.Win…………..Thanks for making it so easy for me to play, Heather!!!!! Lots of SoBe stuff I have yet to receive…maybe AK wasn’t on their mailing list?! and more, but I can’t remember at the moment! Keep playing, you’ll win eventually! Thanks for posting all of these. So far I have one two grocery prizes with Kroger, $10.00 gas card from Huggies, 4 boxes of toaster strudels, $25.00 Amazon cg from Quicken, as well as a $5.00 Starbucks gc. It’s incredible!!! lol!! Persistence really does pay off! I just won a $100 Gas Card on the Halls Pop A Drop Sweepstakes!!!! 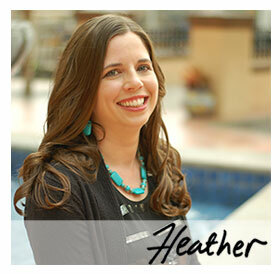 Thanks so much, Heather!!! Thank you for this list.! At least youve won a stuffed animal….. I havent even won that.. I won %15 discount at HSN…. not bad for a first try! I finally won a month of Toaster Strudels. I think these games are a big load of BS…I play every stinking day and all I have won is the Quickens stuffed animal that everyone wins. Yet some of you are winning constantly!! Wow, I won the Kellogg’s MiniWheats contest too… UPS just brought my $250 check! Super excited. That’s my first time to win cash, and boy did we need it!! Since I have played Sweeps I have won, case of Milano cookies, year supply of Dove soap, a movie ticket, $10 Lowe’s card, 4 Toaster Strudles, Barilla pasta and sauce and a Xeco plush. I keep playing to see if I will be a big sweeps winner! Love it! Couldn’t sleep so I tried playing some sweeps, and I won an area rug from Shaw Floors! I won $250 in the Kelloggs Frosted Mini Wheats Back to School contest 🙂 I had no idea until I received the check in the mail yesterday! Its going to Christmas Fund. I just got a $250 check in the mail from the Kelloggs Frosted Mini Wheats School Year’s Resolution Sweepstakes. Woohoo! I just got a knock on my door from UPS and there was an envelope with a check for $250 from Kellogs. I won their Frosted Mini-Wheats sweepstakes. I am so excited. It’s confusing me for sure, I got the message that I could only enter weekly. Just won a Holiday Rug! Wo-hoo!!!! The coupon is for everyone who plays, and there are many terms that are in the small print if you read it. The $200 has to be applied to a rug over $750 or a different purchase over a certain amount of $$. I was excited when I saw it, but the coupon doesn’t seem worth it unless you were already planning on making a purchase. Hey Maria! I won a Shaw area rug too! I looked up all the info because I was so excited! The area rugs are 5×7 (feet of course!) Congrats to you and I!!! Thanks SOOO much Heather! You’re welcome – if you are so inspired please share a photo on my Facebook wall! I got a $200 coupon for Shaw’s flooring. Is everyone getting that though? I’m curious if I’m going to go into a retailer and everything will cost way over $200 or it won’t qualify for certain items. Has anyone else gotten this or tried it?? I just won the Jules – Brown rug from Shaw!! Yay! I have been planning on purchasing a rug for my family room. This will sure save me money! I have no idea what size the rug is from Shaw, but if it doesn’t work there, I’m sure I’ll be able to use it somewhere in my home. Thanks so much Heather!!! I loooove this daily sweeps list. I have won a month of toaster strudel, 3 movie tickets (used one last night), 2 bags of halls, xeko plush, and a $10 gas card! I won tons of stuff when the SOBE was around too…. 6 free sobes and 2 pairs of flip flops. Thanks for your great work. These games can make your day!!!! Anyone win a SHAW Area Rug??? It said I did and I got the confirmation email – SOOOO I just wanted to know if anyone else has won one of the rugs!!! If this really comes – WHOOT WHOOT!!!!!!!! just won a bag of halls drops too! Just won REI long underwear! The movie ticket thing says it’s over now….. If you are using Verizon Wireless, be careful about the Snickers sweeps. They consider those text numbers to be Premium and charge $9.99 per text. That’s a lot of money if you’re texting 15 times a day. I received an email from Barilla stating that I won the Pasta and Sauce sweepstakes. I will be receiving a coupon for a box of pasta and a jar of sauce. That was exciting!!! i still have no luck winning the toaster strudel. I just won the four boxes of toaster strudel from Pillsbury! Got an email from Similac saying that the bottle of formula I won is in the mail. This is awesome because I breastfeed but like to have some formula on hand just in case I need to go somewhere for more than a few hours (and I can’t pump), but I hate having to spend money on it then not use it. FREE IS ALWAYS NICE! Has anyone else won a giftcard from Texaco? Did you get an email or anything to let you know that you won and when it would be shipped? I played the texaco game the bubbles do not pop just because you click on them a real bummer! I just won a bag of halls cough Drops! Hi! I wanted to thank you for all that you do and encouraging people to play the sweeps. I just received the $100 Pottery Barn Kids gift card in the mail from Huggies today. I could not be mroe thrilled and the best part was that I had no clue I had won!!!! I won a stuffed animal from the Quicken loans. My first win. Thank you! Thanks so much! I just won a movie ticket from movie fone and a free game download from Subway! Yay! I just won a $10 texaco giftcard tonight and a cup of cookies from Krogers!! Thanks so much for the posting of the sweeps!! Just won free Jello from Kroger. I just won FOUR boxes of Pillsbury Toaster Strudels through Pillsbury instant game..woohoo..thanks! BTW, the Cherrios link doesn’t work. I just won a Holiday Rug from Shaw Flooring! $49.00 is nothing to sneeze at, in my opinion. Thank you, Sweeps 4 Mom/Freebies 4 Mom for posting the list of contests and sweepstakes. I just won a movie ticket! Yay!! Thanks. I just won Xeko trading cards. hey jessica…try using a different browser if you have one. i did get both of my wins on freddy’s site, but had to use firefox and not safari (i use a mac). otherwise, sometimes it also works to hit the back button and refresh the page. hope one of those work for you! if not, you could always email the folks at softcoin, they are very helpful-i had items not available at our freds and they loaded store credit instead. Another win!!! !, thank you again for sharing!!! I have played the Kroger game for my local store Fred Meyers, and two days in a row the football went through the goal, and then it said click here for prize, and when I do it says “I am sorry, you are not an instant winnter”. Man. 🙁 Is it doing that for anybody else? Why is it every single day that I try and play Movie Tickets, It always says that I have already played for the day? I am tired of wasting my time filling the stupid form out!! I can’t win ANYTHING on any of these. But yet others win something on all of them. I play every day and still nothing!! I received my Xeko Plush from the Quicken Sweeps yesterday. OMG. It is a medium sized gorgeous and soft Panda Bear. It is by far I think the cutest freebie I have ever received. Thanks for posting these sweeps. Jari, If you are not playing because it says you already played, keep trying. It always tells me that the first time and when I try later in the day it lets me play. I just won a free movie tickey and 4 boxes of toaster strudels. I have a question, when I checked the rules for the Barilla contest, it says you can enter once a day, but when you enter it says to come back next week. Anyone know which is correct? The Family Dollar is a once a week entry. I won a $5 starbucks card from Quicken AND a $20 Sears card! I’ll take $25 in free stuff! Thanks for the links. Woo Hoo. Just won a $10 Amazon card in the Quicken sweeps. I’m hot today! Just won a movie ticket. Now, can someone do a sweeps for a babysitter? I just won a movie ticket! won a month of pillsbury strudel today! I just won a movie ticket and a free Xeko plush animal. I noticed that they are worth about $17.00. Good X-mas present for my daughter. Just won a $10 Texaco gift card and 4 boxes of toaster strudels! Yippeeee =) Oh and last week I won a $20 Sears GC. I won a $5 gift card. It’ll go great with the $20 card from the coke site. This is the comment I get everytime I try and play the shaw giveaway, what is up??? Our system has detected a problem with your website access. Your access may have been corrupted through a lost connection, or leaving this secure site idle for too long. As a security precaution, when one of these issues arises, our system will block your access temporarily to ensure the system is safe. Please try again in five (5) minutes. Thank you for your patience. I just won a free movie ticket on my first try! Dont know if its a hook or what, but I will take it! I won a $10 Texaco gift card on my first try! I received an email from Barilla Pasta. Will get a coupon in 8-10 weeks for pasta and sauce. got any new Subway Codes? I’ve used up all the ones on sweetiessweep site. I just won 4 boxes of Toaster Strudel ~ Yea! Thank you Sweeps 4 Mom! Oh My on a roll… I just won a movie ticket, first try, too. I just won $20 Sears card. YES!!!!! I almost gave up! I should know better especially with free entries. Won a movie ticket and a bag of cough drop this morning! I won a free Halls cough drops & I also won an HEB product! Yeahhhhh!! I just won a $50 visa card from Play Doh! Just won a $15 best buy GC on my first try for the night, yesss! Yahoo, I got my $5.00 Starbucks gift card in the mail yesterday. The baby will blow bubbles with it’s mouth when you win. Whoo hoo… won 4 boxes of Pillsbury Toaster Strudel packages this morning. Thanks for the post. I just won a bottle of carpet cleaner from the Shaw floors Improve my Nest!! Just won a movie ticket! I won a $10 sears gift card and a $10 Huggies gas card this past week! Woot! Playddoh and Cheerios website did not work. Sweet! I won a free movie ticket. Going to use it for the new Harry Potter movie! Be careful not to copy a space at the end of the code or type it in. It does work, I use it every day!